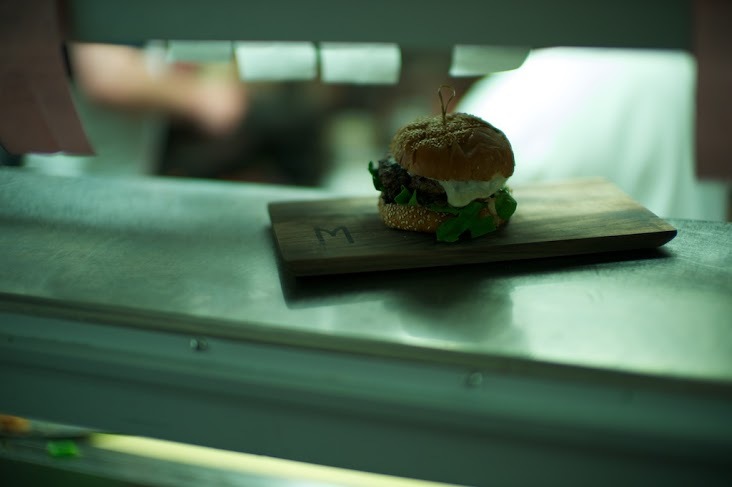 We want our menus to be fun and fabulously delicious at Michael’s restaurants on both coasts. 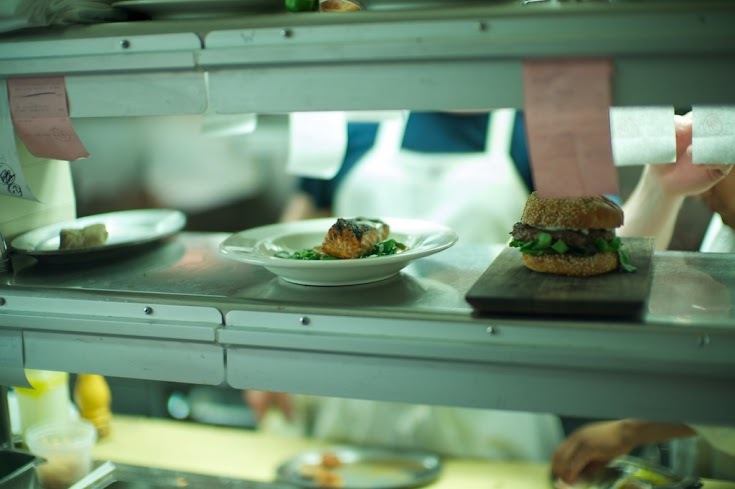 That’s one of the driving forces behind the reimagining of our menus over the past year, as we look for more and more ways to give our valued guests new ways to enjoy our fresh, seasonal, local American cuisine. One of the results of these efforts is the range of exciting small plates we’ve added to our menus, perfecting for enjoying as your very own or sharing with one or more other people at your table. Case in point: The weekly fresh takes on the humble taco that Michael’s Santa Monica’s executive chef John-Carlos Kuramoto come up with, drawing inspiration from their purchases at the Santa Monica Farmers’ Market. 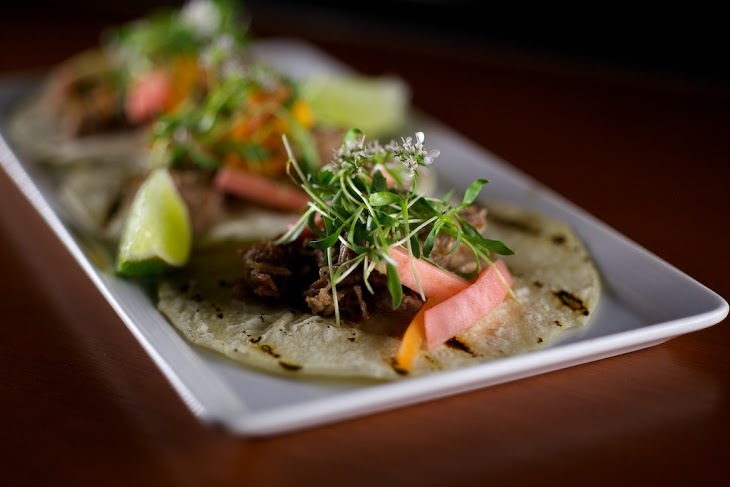 Ask your waiter about the taco special next time you dine with us! We’ve really outdone ourselves this time at Michael’s Santa Monica. Our cheeseburger is absolutely indulgent, jubilantly juicy, and downright divine! Savory, earthy onions sauteed to a caramel-brown in duck fat, sun-ripened heirloom tomato, and delicate butter lettuce perfectly complement our beautiful, meaty beef patties. A slathering of Russian dressing and a slice of American cheese add a playfully nostalgic sensibility we think you will love. Dig in! Hearty without ever being too much. This scramble from the breakfast menu at Michael’s New York comes fully loaded: onions, tomatoes, mushrooms, red peppers, asparagus, bacon, salmon, and chicken sausage. Yes, you read that correctly! If you are craving flavor, and lots of it, but still want lightness in your step, this makes the perfect breakfast. 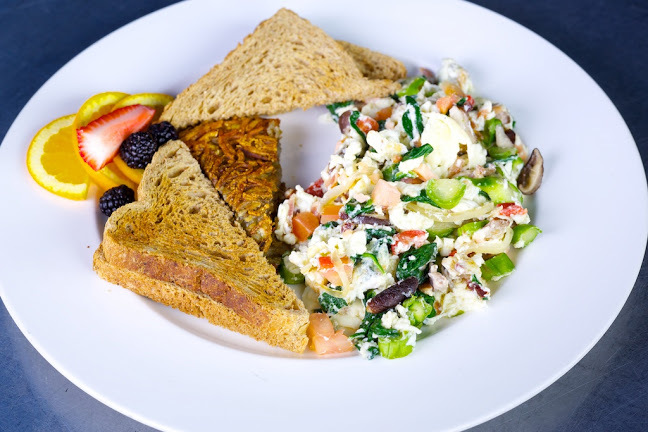 We serve the scrample with a slice of our cast-iron skillet hash browns, fresh fruit, and your choice of toast. Enjoy this with a cup of freshly brewed coffee (with a splash of Hudson Valley milk, if you like) and a glass of freshly squeezed grapefruit juice. How can the rest of your day not be great?! Warm and ready to be devoured! Subtly sweet, our vanilla beignets at Michael’s Santa Monica are freshly fried to order and served warm, golden, crispy, and tender, accompanied by a pile of the season’s best, juiciest, sweetest strawberries from the legendary Harry’s Berries—which we pick up fresh just down the block at the Santa Monica Farmers’ Market. 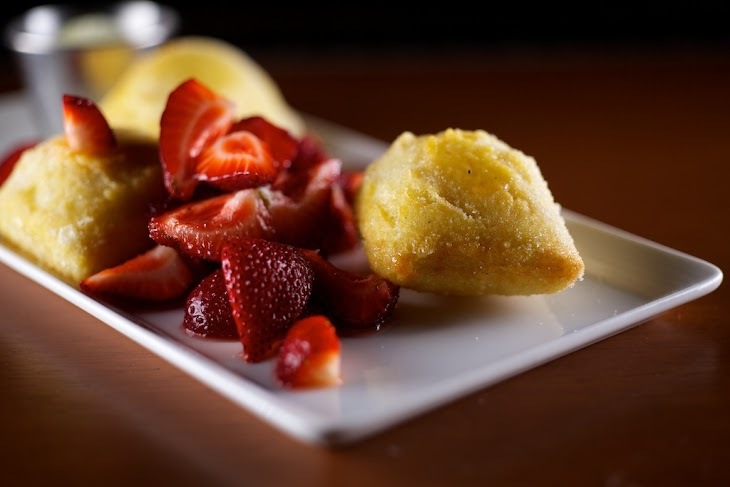 A Meyer lemon nappage tartly counterpoints the stellar fruit, and house-made mascarpone ice cream simply blows your mind with its subtly tart creaminess. Put all these elements together and the simple, natural flavors and textures sing in perfect harmony. Our guests have been enjoying our various takes on chicken and fries (poulet avec pommes frites, in Parisian bistro parlance) since we first opened our doors at Michael’s Santa Monica back in 1979. This combo makes a hearty, comforting lunch or dinner that will definitely satisfy. We grill a Jidori chicken breast until the skin is slightly charred and smokey, the meat juicy, flavorful, and tender. 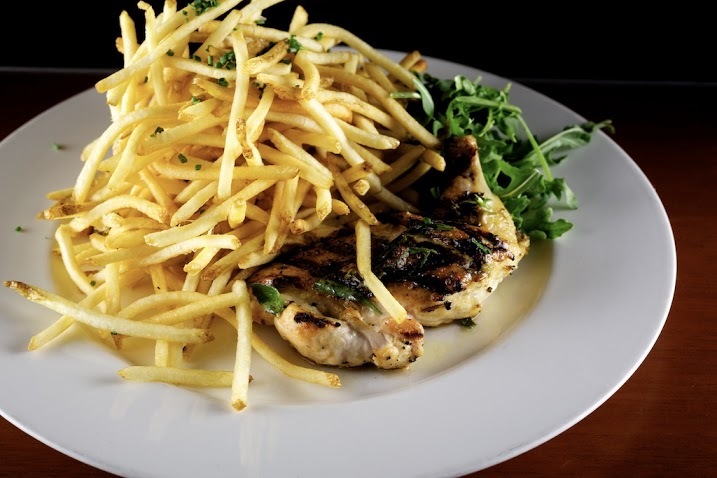 We serve it with a towering tangle of our famed shoestring fries, as well as a delicate arugula salad. Join us soon to enjoy a classic! One evening, our ace photographer James Carroll swung by the recently remodeled and reimagined Michael’s Santa Monica to capture all the magic! 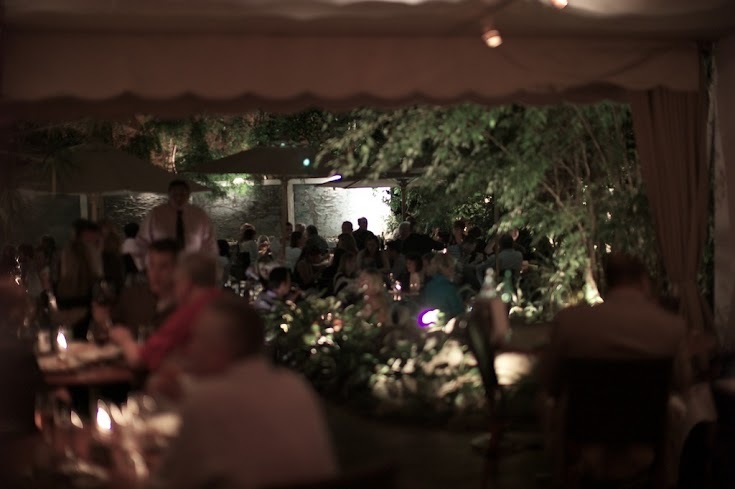 Check out this selection of images from our famed garden patio and our kitchen. 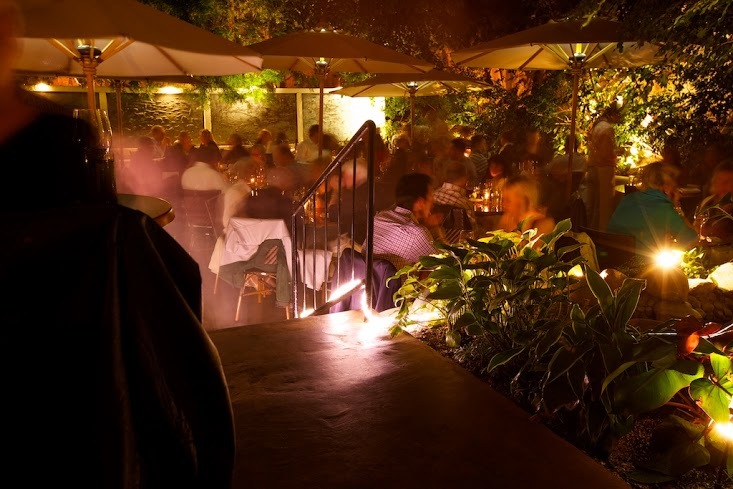 Our new lighting scheme adds a fresh air of romance to the garden dining patio. Food hot and ready to be whisked to our guests. Another view of the garden patio. Note the far wall sculptural frieze custom-created by the great Robert Graham. 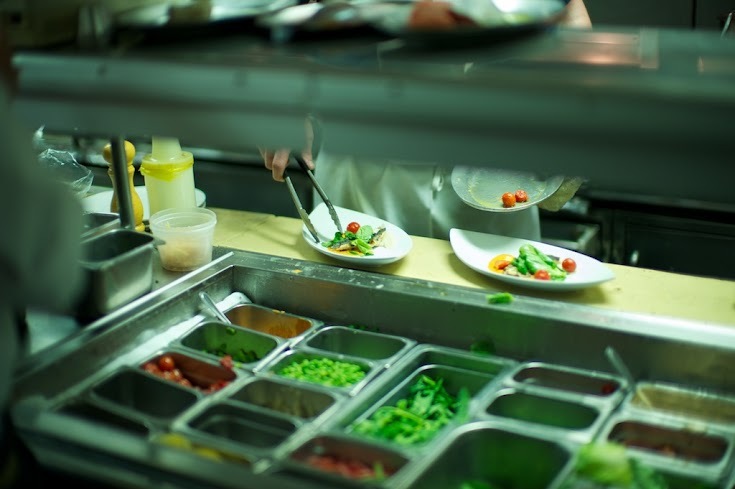 Fresh-from-the-farmers’-market fare being plated at the salad station. Check out that seared golden-brown crust. 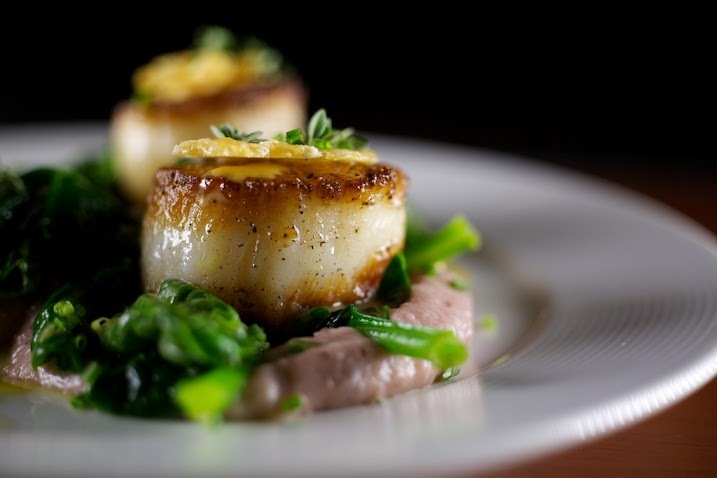 Our guests at Michael’s on both coasts love scallops. Of course, we start with the finest, freshest, plumpest, sweetest diver scallops there are. Then, our expert preparation kicks in. At Michael’s Santa Monica right now, executive chef John-Carlos Kuramoto and his team are pan-searing them to create a crispy golden crust while leaving the interiors moist and tender. We nestle the scallops atop a bed of the most divine black truffle potato puree covered with sautéed baby spinach. Parmesan crisps and a delightfully unexpected Tabasco-infused beurre blanc round out this outstanding dish. Warning: You may want seconds!